LifeTime Fire Engineers offers turnkey solution of fire protection, safety system for industrial commercial and residential market segments. We at LifeTime have designed and successfully commissioned several analog addressable fire alarm, convectional fire alarm, sprinkler, hydrant and water spray system. 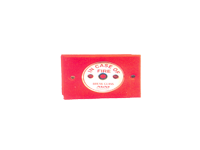 The company’s quality based principle has lead to the meteoric rise in the Fire Fighting Industry and we have expended in Fire Alarm, Fire Fighting, Security System & Surveillance System for various government & private sectors and many more. Our clients are from practically every field viz. Refineries, Petrochemical, Power generation, Steel, Fertiliser, Defence Services, Airports, Port Trusts, Hotels, Hospitals, State and Municipal fire Service and many others. “Fire Alarm, Fire Fighting, Security System & Surveillance System for various government & private sectors”. Our commitment is to supply our customer with the highest quality system insuring testing reliability. quality product utilizing the latest technology with highly trained professional, wide range of industry experience and supreme design engineering & commissioning capability. Our after sales service is a specialty and this is also one of the reasons for our getting orders repeatedly from our clients. We also undertake servicing and maintenance of fire extinguishers and allied fire fighting equipments, including consultancy and training. We have trained manpower to facilitate after sales service. We also undertake turnkey jobs in the field of various types of fire protection systems such as Fire Alarm System, Heat and Smoke Detection, Carbon Dioxide Flooding Systems, Sprinkler Systems, Fire Hydrant Systems etc. We have installed such systems in various projects all over India, Amritsar, Jalandher, Ludhiana, Abohar and many more cities. We have also done such systems in many multi-storeyed buildings as per rules and regulations of city Fire Brigades and as per TAC/ISI requirements.